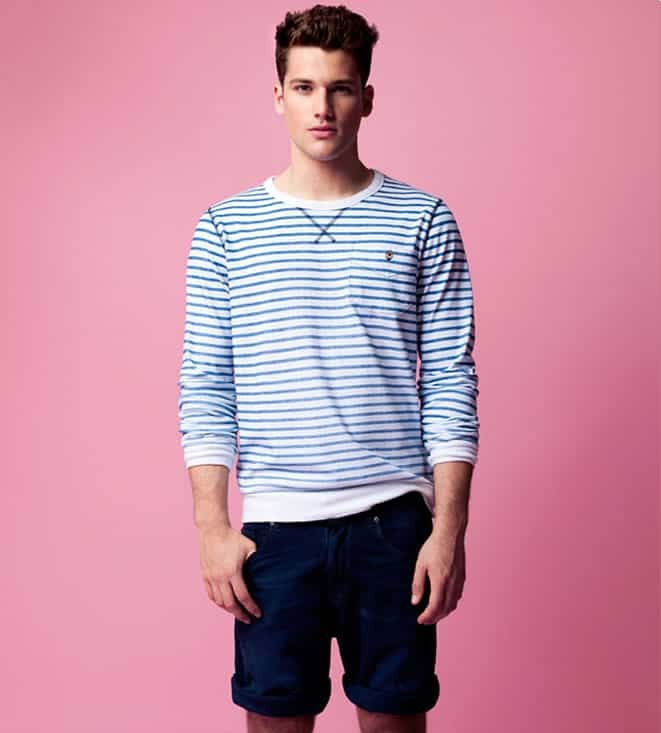 Spanish label Pull & Bear have enlisted the help of Brazilian model Arthur Slaes to front their latest spring/summer 2012 lookbook. Casually entitled ‘Sunday Chillin’, this represents the high street brands latest offerings down to a tee. With relaxed fits and casual styling, this range gives off a laid back vibe offering customers all they need to see summer through with ease. The undoubtedly youthful imagery showcases a range of extremely easy to wear pieces, with key wardrobe accruements such as t-shirts, chinos, shorts and the FashionBeans summer essential, the polo shirt, making up a major part of this collection. Looks take a nod from the influence that sportswear has had upon menswear this season by incorporating aspects of sportswear into the range, with sports inspired outerwear, sweatshirts, and jogging bottoms also featuring heavily within the collection. Continuing to stay on trend, the offerings come in an assortment of hues, delivering not only bright and vibrant colourways but also including soft pastels shades – which are perfectly in keeping with the summer months to come. From the selection of shots, one my favourite looks is the pastel pink chino shorts, pink polo shirt and deep red shoes. The reason this particular look stood out to me is due to the ability to have successfully combined variations of one tone to create a simple yet well-constructed tonal look. Check out the full lookbook over on the Pull & Bear website.